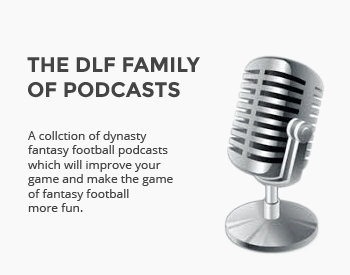 DLF has been the leading source for dynasty and keeper content and community since 2006. No other site has the proven experience, the passionate history and commitment to the dynasty & keeper formats as DLF. 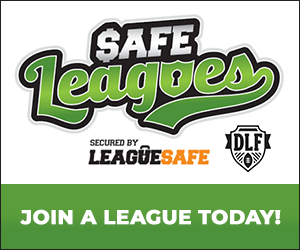 Whether you are new to the dynasty format or an experienced dynasty veteran, DLF has the tools, information and resources you need to dominate your league. We continue to work our way through the NFL Draft prospects we haven't covered yet, looking at the remaining tight ends. Why would you spend top rookie picks on well-known players when you can wait for these stars? Our final week of the 2019 NFL Draft Video Profile series continues with a focus on some potential late-round receivers. We examine the lesser-known quarterbacks in this year's draft class. Are any of them dynasty-worthy? Want to be a dynasty commissioner? Read our extensive how-to guide! We look at two deep sleepers for your dynasty rookie drafts. We run down your potential rookie draft picks from the 1.02, 2.02, 3.02 and 4.02 spots. We wrap up the latest DLF staff rookie mock draft. You hold the 1.01 pick in your rookie draft. What do you do? April 13, 2019 / Michael Zingone / 8 Comments on Dynasty Rookie ADP Report: What Chance is Each Player Available? We provide visualizations of how likely it is you'll be able to take each rookie at each rookie draft pick. The DLF staff came together for a rookie mock draft, and we kick off with round one. April 5, 2019 / Mike Havens / 1 Comment on Is Josh Jacobs the RB1 in the 2019 Rookie Class? Is Josh Jacobs the clear top runner in this class, or does he have serious issues? We break him down.